The 2019 Rittenhouse The X-Files Archives Classic Autographs set highlights only a few key signers from the popular sci-fi franchise, but this includes the iconic duo of Mulder and Scully. The limited-edition release has two autographs and three metal inserts per five-card box. Each box runs $299.99. Rittenhouse also produced a more traditional set for Season 10 and Season 11 in 2018. 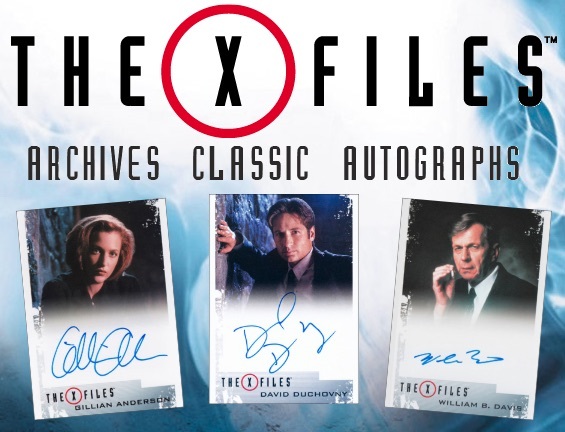 Featuring David Duchovny (Fox Mulder), Gillian Anderson (Dana Scully) and William B. Davis (Cigarette Smoking Man), collectors can count on two different on-card signatures per box of 2019 Rittenhouse The X-Files Archives Classic Autographs. So, that means you get at least Mulder or Scully in every box, with a chance for both in the same box. David Duchovny signed around 50 cards, Gillian Anderson has around 100, and William B. Davis has approximately 150 autographed cards. If you purchase three sets direct from Rittenhouse, you are guaranteed all three signers. 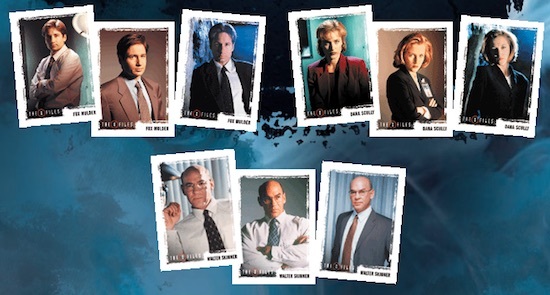 The 2019 Rittenhouse The X-Files Archives Classic Autographs box also has three metal inserts, each numbered to 50, that look back at different points for Dana Scully, Fox Mulder and Walter Skinner. You can guarantee the full nine-card set by purchasing three boxes from Rittenhouse. 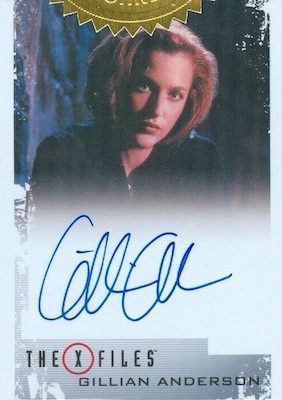 Buy X-Files Archives Classic Autographs cards on eBay. 9 cards. 3 per box. Serial numbered #/50. X-Files Seasons 10 & 11 Trading Cards Factory Sealed 12 Box CASE 36 Autographs!